It’s not often that I find myself on the cutting edge of up & coming spirits, and yet here I am… talking about Bēt Vodka. First up, yes, it’s pronounced “beet.” Next up, yes, it’s a vodka made from beets. 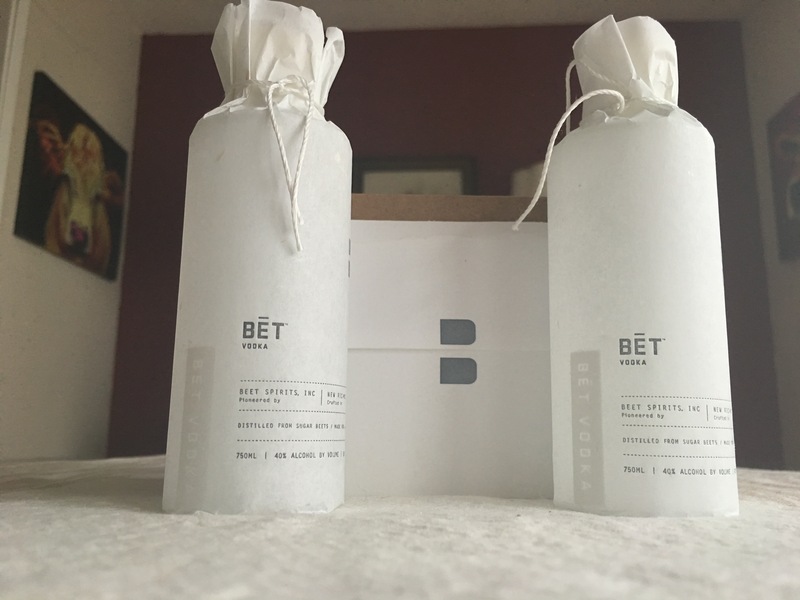 Clean, crisp, and velvety smooth, Bēt Vodka is top-shelf, high quality, sipping vodka. There are very few vodkas that I consider sipping quality. To me, vodka is a mixer. It’s a booze that’s meant to be mixed with other boozes or even juices. Bēt, however, is excellent on its own; no mixing required. Heck, it doesn’t even need chilling or an ice cube. The goal of vodka is to be as clean and flavorless and spring water; Bēt is as close as you’re going to get. I get no flavor and nearly no nose from Bēt Vodka. What little scent I do get reminds me of Clementine or Meyer lemon blossoms (which I have in abundance around my house right now). Mild, clean, slightly floral, the nose on Bēt is defeated by an ice cube or slight chilling. So, the finish: quick, clean, and warm. Bēt is a sipping vodka, truly. The finish fades quickly, leaving you ready for next sip. Bēt is a sipping vodka, truly. Honestly, folks… I’m not really that much of a fan of Vodka. I’ve always been a Gin & Whiskey man. But Bēt has me re-evaluating my life. While I’m loving the heck out of sipping it straight, I could easily sip Bēt in a Vodka Tonic, a Lemon Drop, a Vesper, I’d even use it as a replacement for Gin in my Gibson. Yes… I’m serious. No, I haven’t fallen and bumped my head. It’s that good. Always like your reviews, but his one… it sounds a lot like a paid advertisement…. but i will take your word and give Bet a try. It’s so not. Much like Azzurre Gin, this stuff just surprised the heck out of me. Bét and Pau are my new favorite vodkas.